We cater for all ability levels from Novice, Beginner, Intermediate & Advanced as well as provide education! I ran my first ever 10km in under 60mins using a 3Speed Running Training Plan! I lost over 30kgs and completed my first Ironman Triathlon in under 12hours! I participated in the 3Speed TRX Training Plan and have never felt a workout plan like it. The results were amazing and the education was great! I participated in the 3Speed Health, Fitness and Lifestyle Challenge and lost a total of 4.5kgs in 8 weeks. I even won a bike worth $500! 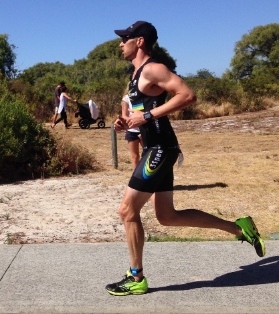 I came to 3Speed as a mid level age group triathlete and within 2 years I won the SunSmart Triathlon Series 30-34 age group and qualified for the Australian age group team! I qualified for the 2016 Ironman 70.3 World Championships and placed 20th in the women's 40-44 age group!